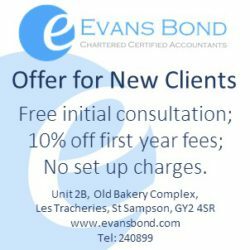 We are a local firm of Chartered Certified Accountants specialising in providing accounting and consultancy services to local businesses and fiduciary service providers. We bring experience in financial management, systems, change management and strategic development. We focus on adding value through a consultative approach with our clients, increasing understanding of accounting data to improve decision making process and effective management. We offer cloud accounting and traditional accounting for local businesses with a fresh approach to add value to your business at a low cost. We offer outsourcing solutions for all client accounting requirements for fiduciary service providers. Local trustees can benefit from an experienced professional team of accountants and bookkeepers, either working in house or from our own offices. We provide management accounting services with insightful commentaries and analysis to aid management decision making. We add value through our extensive experience in the industry to add value to the financial management function. We offer a full range of consulting services to local businesses and the offshore finance industry, specialising in finance systems, process review, project management and facilitation of senior leader decision making. We offer a finance director function to your board. Adding an accountant to report to your Board ensures financial awareness and understanding is at the forefront of decision making. Our Managing Director is available for NED appointments and can bring an extensive understanding of strategic decision making, corporate governance and financial control to your board. Cloud accounting brings great benefits, from streamlined invoicing for customers, automated bank feeds to reduce bookkeeping, simple collaboration with your accountant and live finance data. We recommend Xero, and can work with you to harness the benefits of cloud technology. We can work with you to remain compliant, including preparing statutory accounts for limited companies to preparing tax returns and necessary schedules for submission. We’ve worked together with our designers to put together a short video advert for online channels. Have a look and let us know what you think! Accounting Software – Cloud or Desktop?